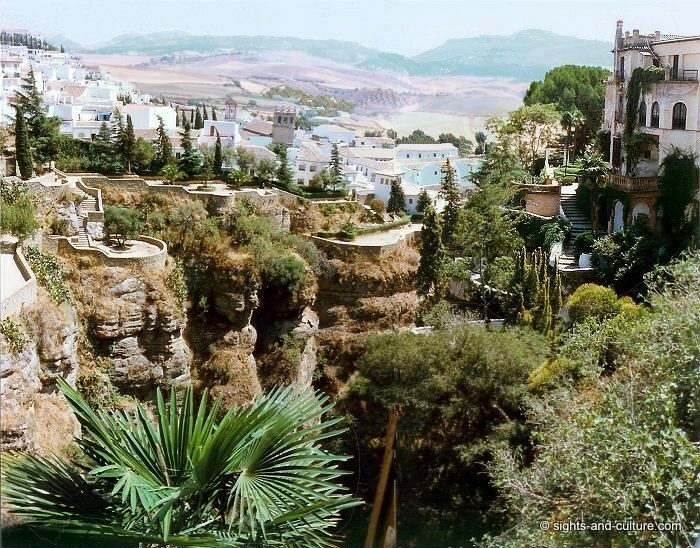 Ronda is a chrming, small town in the Andalusian province of Málaga. 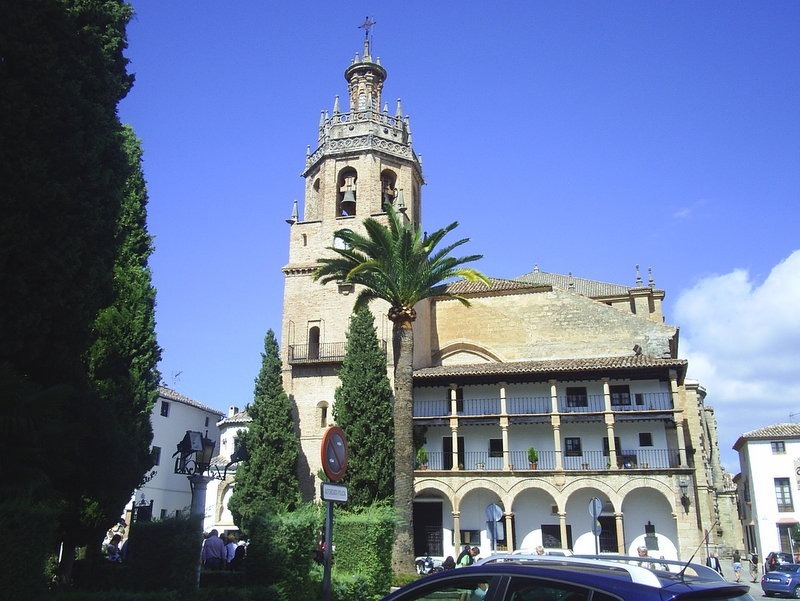 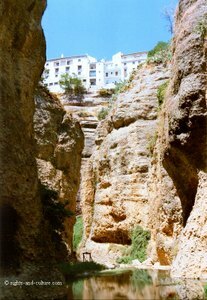 With approximately 35 500 inhabitants the municipality of Ronda is one of the largest towns in the "white villages" of Andalusia. 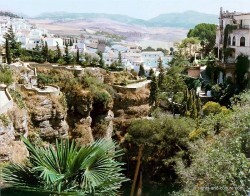 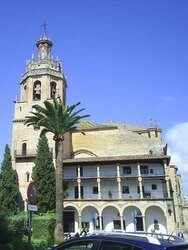 Ronda is famous especially because of its exceptional location. 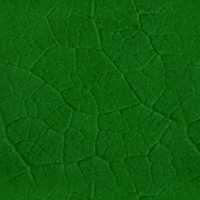 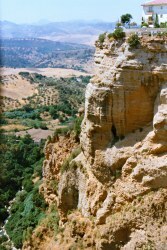 It is situated on a round, steep, rocky plateau, 723 m above sea level. 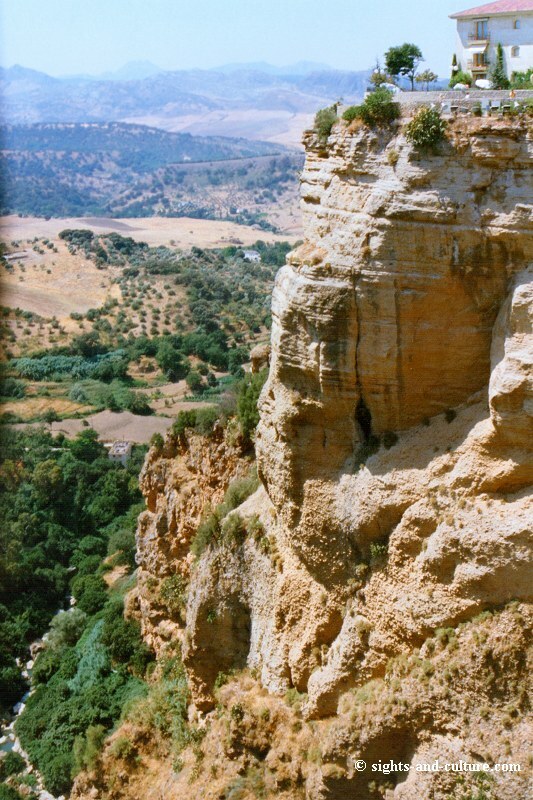 The Moorish old town, La Ciudad, is separated from the younger district, El Mercadillo, by an almost 100 meters deep canyon El Tajo formed by the river Guadalevín. 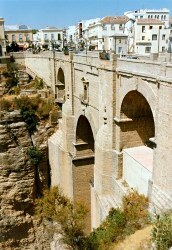 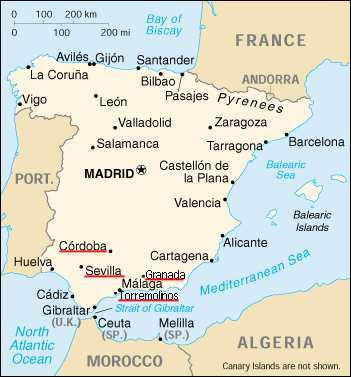 The gorge is spanned by three bridges, the most famous of which is Puente Nuevo ("New Bridge"), built in the 18th cent. The bridges and some really great restaurants offer spectacular views of the gorge, the city and surrounding. 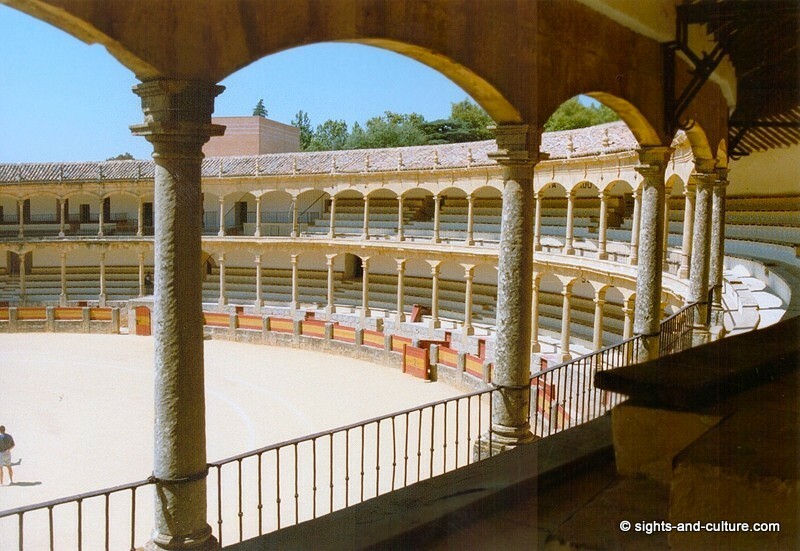 - oldest and best preserved bullfight arena in Spain.